Mississauga Newborn Photographer – Finally a boy! 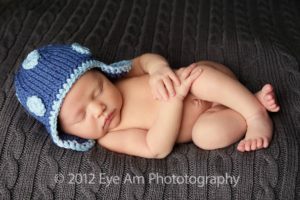 After about 8 or so girls in a row I finally got a newborn baby boy to photograph for a newborn session. He was just a few days old at our session and just so squishy and adorable. Toronto Mom Now is the urban mom’s window to her city. It’s filled with yummy places to eat, unique places to shop, and cool neighbourhoods to walk – with or without your kids in tow. They focus on topics that appeal to moms, rather than focus on baby or kids, and pride ourselves in uncovering local hidden gems that may appeal to urban-minded moms. I am very excited to share with you that they have nominated Anne Mason (that’s me) of Eye Am Photography as Toronto’s Best Portrait Photographers. Thanks Diane, I really appreciate the nomination. 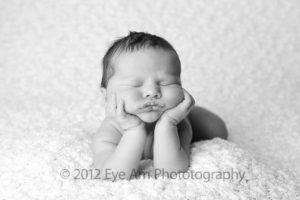 If you have a moment I’d love if you would post your comment on Toronto Mom Now about Eye Am Photography. It’s been a while since I’ve posted anything and I have tons of images to share. The Richmond Hill studio has been very busy with newborns over the last few months. I’ve had families from Toronto, Stouffville, Mississauga, Newmarket, Aurora, Markham and all over. I also go on-location for newborn sessions as well. Some locations have been Maple, Richmond Hill, Toronto and more. For this post I’ll share the newborn images only. 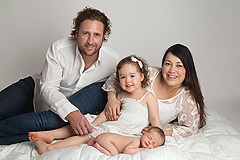 In future posts I will share the family, baby and children images from the recent photography sessions. First was beautiful “H”. The first little girl for this family of 3. Another beautiful girl. Little “A” travelled all the way from Burlington for her newborn photography session. So many little girls. It always seems to be that I photograph a bunch of girls and then I’ll photograph a lot of boys. Here is little “O” and her beautiful family. I just adore the softness of the white bed. Scrumptious and sweet. “L” shows us that little girls look adorable in every colour. There have been lots more newborns but I will save some for the next post about newborns. Coming soon…Twice the cuteness. Leah Sky - Beautiful photos, truly magical! It was mentioned in the newsletter but this is the first chance I’ve had to update the blog. Fall mini sessions are going on. The gorgeous fall colours have started making an appearance and it is a great time to get some photos of the kids to give as gifts this year. – 5 digital files for $400. 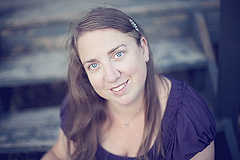 Please contact the studio right away at 905-882-1459 as there are only two spots left for mini sessions outdoors for 2011. There will be a date in November for indoor mini sessions. If you prefer an indoor studio session book now to hold your spot. These mini sessions go quickly as there are only a limited number offered each year. Eye Am Photography also offers custom holiday cards. They are $75 for 25 cards. And of course I had to include a photo from a recent session. This little darling was 6 weeks old and just an absolute sweetheart. It’s been an amazing summer here in Toronto so far but believe it or not fall is just around the corner. Eye Am Photography has created their first newsletter. It’s full of lots of new information and a holiday mini session special. As you know I love to include pictures in my blog posts. I’ve been very busy with newborn photography sessions lately. This is sweet little “E” from Ajax. And precious little “A” from Maple.